I can relate to about 90% of what this guy says. I am old enough to remember going on MUDs. They were basically text-only chat rooms. And that’s ALL you did… chat…talk. Well, type really. And yes, I had friends meet boyfriends and girlfriends from hundreds or thousands of miles away. WAAAAAAY before they had dating websites. Heck, there were hardly any “websites” at all at that point. The few we did have took a few MINUTES to load, not seconds. Yes we were the outsiders. We were the minority. We were nerds, dorks, geeks, weirdos. Mr. Warden is right. It’s weird being “cool.” Well, not really but in theory anyway. A VERSION of geek culture is cool… kind of like how I’m sure people THINK being an archaeologist is exciting and fun like it is in Indiana Jones movies. Being a geek usually isn’t unless you’re a geek. Nerdy stuff is generally pretty boring unless you’re a nerd. And no, “hacking” is NOTHING like how it is in the movies. I think in some ways, it gives me some perspective on what the President and his buddies are going through. 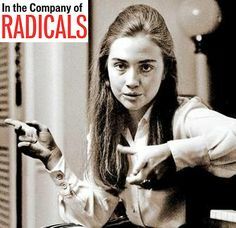 Barack and Michelle Obama, Eric Holder, Elena Kagan, Lois Lerner, Rahm Emannuel, Valerie Jarrett… in fact just about EVERYONE in the President’s inner circle were hard-core 60s radical. They were against “The Man” and everything “The Government” stood for. Now they’re awkwardly in charge. They have the power and now they have to swing a 180 and convince everyone that now, instead of anarchy and chaos… everyone should LOVE the government. There’s the anonymous “government” (and Republicans) on one side and he stands on the outside of his own house shouting and tossing rocks angrily. It’s quite amazing really that he manages to pull it off. Sure, he can only get away with it because the media is full of ex-60s radicals too. They’re good friends who went to the same schools. Some even married each other or are blood relations. How does this relate to the original article? Well, the whole “60s radical” attitude is not about governing. You can’t lead from behind. You can’t pilot the ship without being on board. I think this is the root of our problems as a country right now. The President is physically not at the White House much because he’s symbolically and mentally not there either. He is not THE PRESIDENT. He wants to be the guy on the outside hurling insults and demanding results. He doesn’t want to be the guy IN the White House taking charge and assuming responsibility for his actions. The rest of us had to grow up. We never stopped being nerd or dorks. However, we have to take responsibility and not play video games all day. Reality made us either delegate our hobbies to our free time or use those talents to pay the bills. You can’t build a nation on whining. You can’t lead the Free World. You can’t even avoid disaster. The Titanic is heading towards the iceberg and our entire leadership is busy shouting insults at the janitor swabbing the deck. « Brilliant Marketing, Idiot Savant or Just an Idiot?